5. Abdul Arif (Cartoonist, Gold Pencil). 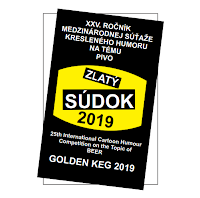 The organisers will accept for the competition all works that will be delivered at the address of the Šarišská gallery in Prešov by 1st March 2019. 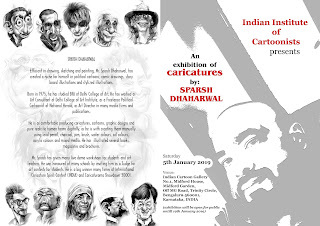 Indian Institute of Cartoonists is organising an exhibition of select caricatures of Mr. Sparsh Dhaharwal from 5th to 19th January 2019 at the cartoon gallery. 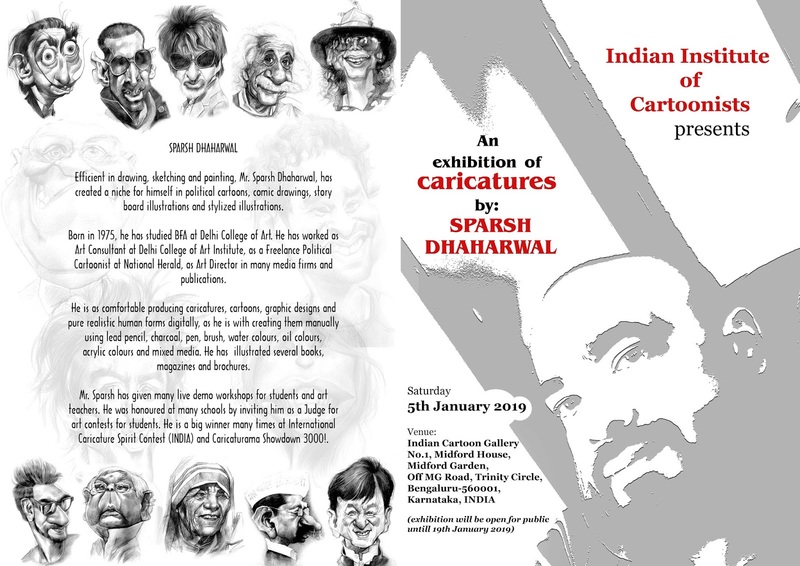 Mr. Sparsh Dhaharwal is an young and talented graphic designer who has carved out a niche for himself in political cartoons, comic drawings, caricaturing, story board illustrations and stylized illustrations. 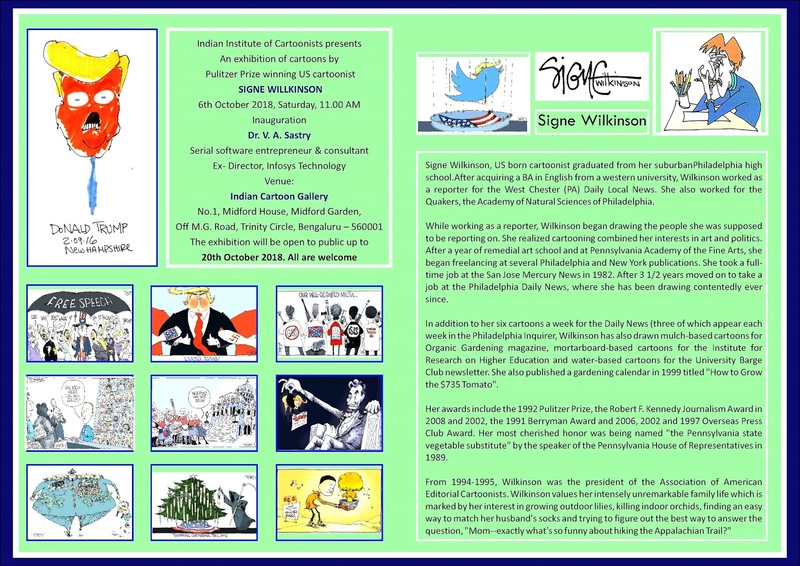 Please find attached exhibition invite. In 2019 Bastogne will commemorate the 75th anniversary of the Battle of the Bulge. 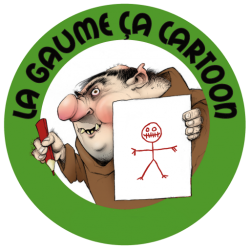 Bastogne International Press Cartoon joins the event with the organization of a Contest. Opening and prize giving ceremony: 23 May 2019. The contest website will inform you if your works have arrived. The list of participants is updated weekly. 3. The drawings shall have the following dimensions: A4 – 300 dpi, (maximum 3MB). 4. 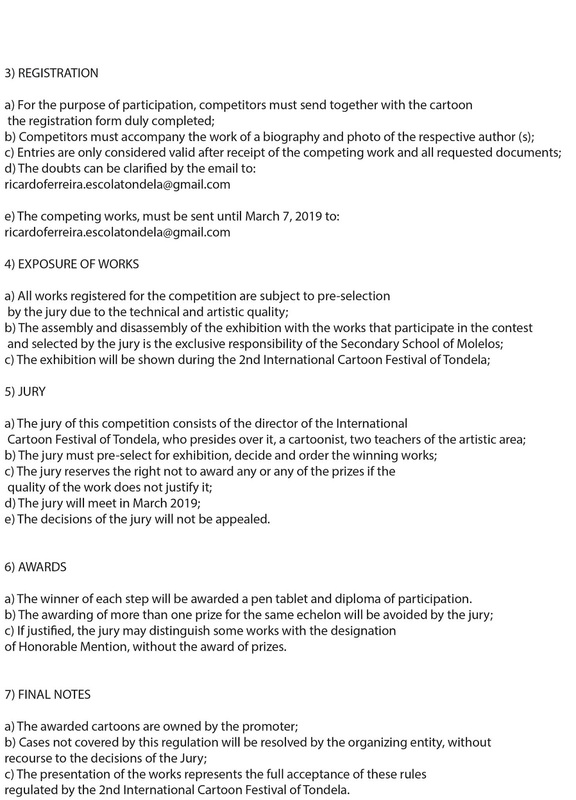 By participating, the artist agrees with this rules and the privacy disclaimer and authorize the organizers to publish the submitted works in the catalogue and for the promotion of the exhibition. For any other use of the cartoons the permission of the cartoonist is previously requested. Best Belgian cartoon: € 250,00 + trophy. 6. By participating the artist lends the submitted works to the organizers for itinerant exhibitions. Consequently, the selected works will remain at the disposal of the organizers until December 2020! The awarded works will become property of the organization. 7. If after announcement of the prizes, it appears that plagiarism has been committed, the jury can after deliberation withdraw the prize. 8. The international jury of cartoon professionals will meet in Bastogne on the 30th of March 2019. The complete list of jury members will be announced on our website after the 1st of January 2019. 9. The inauguration and prize-giving ceremony will take place the 23th of May 2019. The exhibition will be held at the Cultural Center of Bastogne. China Daily Website, 21st Century，Newscartoon. 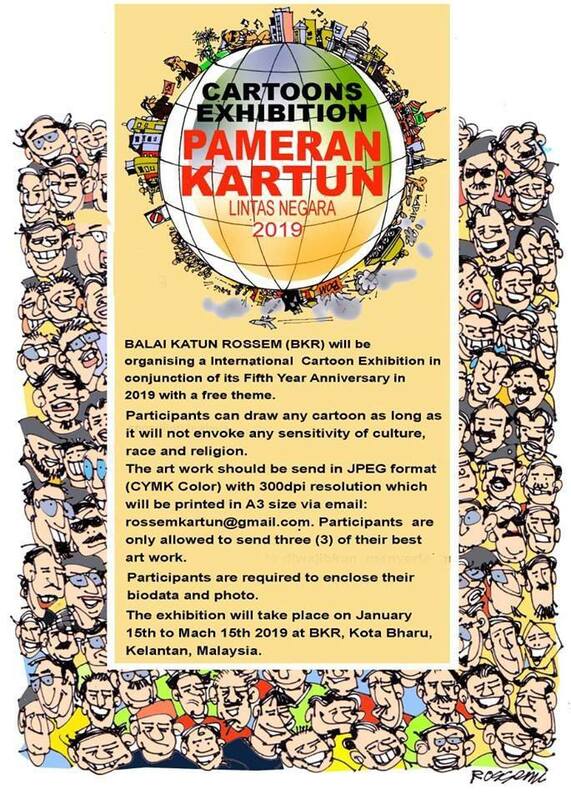 3) If you submit your contribution via email, please follow the resolutions: - 300 dpi (file size no bigger than 2MB) - JPG - RGB - Longest side of the file should be under 1000 pixels. 3) The winner will be announced in April 2019. 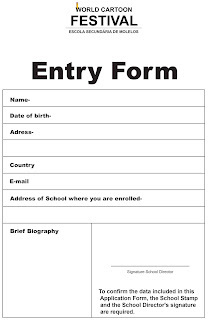 Entry Form.doc (32.5 K) on source. A3 (29X42 cm), 200 dpi, JPG/JPEG and free techniques. and 3 Special Prizes (certificate + Memorial plaque + album). The United Nations (UN) declared 2019 as “the year of indigenous languages” (in the last few years, many languages have disappeared). PortoCartoon wants the world’s humor to be wider. “Languages and the World” is therefore a theme for multiple reflections: which world and which languages? What worlds do we speak about and which languages? What languages do we connect to? What are their supremacy between them? Who dominates who by the language? The language as an instrument of subjugation? Does language give power? There are multiple meanings. Meetings / Disagreements. Following to the line started in 2013, with the introduction of the Caricature Special Award on PortoCartoon, we have chosen for 2019 Fernão de Magalhães and Bob Dylan. The 500 years of this odyssey that begun in Sevilla (Spain), are celebrated in different parts of the World, from 2019 to 2022. This Portuguese, from the north of Portugal, made the voyage to the service of the Spanish king Carlos V.
The humor of caricature can reinforce this dimension of the world unity, at this time of dangerous threats. Dylan is a permanent re-inventor of the word-music connection. 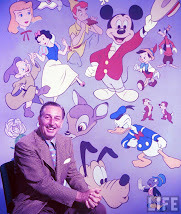 He has reinvented himself for more than 56 years, passing on to the music the rhymes of his “pictorial way of thinking”. With iconic songs for different generations, Dylan avoided the spotlight of being awarded with the Nobel Prize. 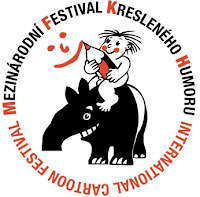 3 Cartoonists can submit works for the MAIN THEME and for the FREE CATEGORY, as in the previous editions. 4 Artists who don’t wish to compete can send us their works EXTRA--COMPETITION, informing of their decision. 5.1. Cartoons must be original. We accept any kind of graphical techniques, including digital artwork sent by e-mail, as long as the drawings are SIGNED BY THE AUTHOR, are identified as PRINT NUMBER ONE and as an original for this contest. 5.2. Can also be presented sculptures pieces of humour, in any kind of material. - Year, title and theme section. 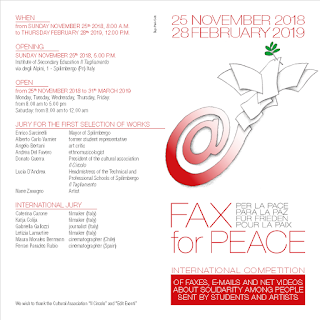 8 Entries should arrive at the PORTUGUESE PRINTING PRESS MUSEUM until January 31st 2019 (EXTENDED:) 11 FEBRUARY 2019, along with the filled Entry Form. 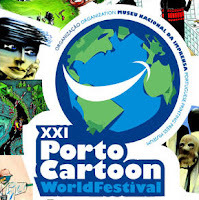 10 The participation in PortoCartoon automatically implies that the author waives copyrights of his works in any kind of platform, concerning the production and diffusion of the festival. 12 The organization does not ensure to send prizes on bottles of wine. 13 The Jury will have an odd number of members and its decisions will be final and cannot be subject to any type of appeal or complaint. 14 The awarded works will become property of the PORTUGUESE PRINTING PRESS MUSEUM and will take part of the INTERNACIONAL CARTOON GALLERY. 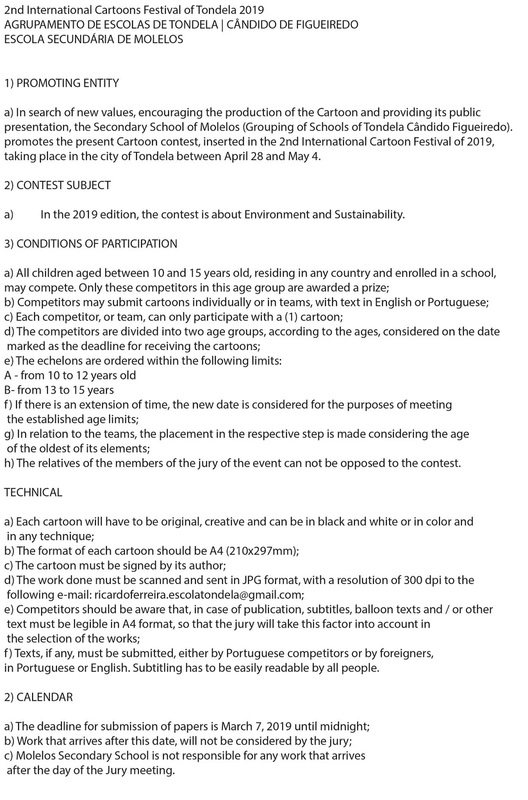 The others will be returned to the artists, if formally requested with the entry form, after the exhibitions (during PortoCartoon and others in different cities and countries). 15 In case of using non-awarded works in other cases except PortoCartoon exhibitions or its promotion, copyright payment will be made to the artists. 16 All the artists whose works are selected for the exhibition will receive a DIGITAL CATALOGUE, that will be sent by e-mail to download. 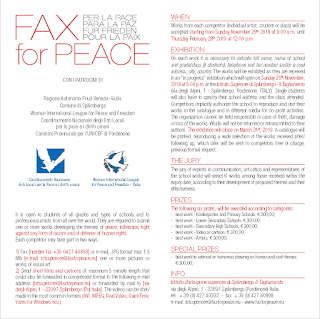 If the artist wants to receive a printed catalogue, he should request it and support the shipment costs. 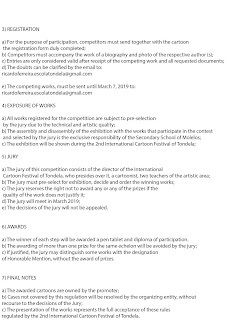 17 The winning artists will receive the prizes in june 2 17 019, in a public ceremony. 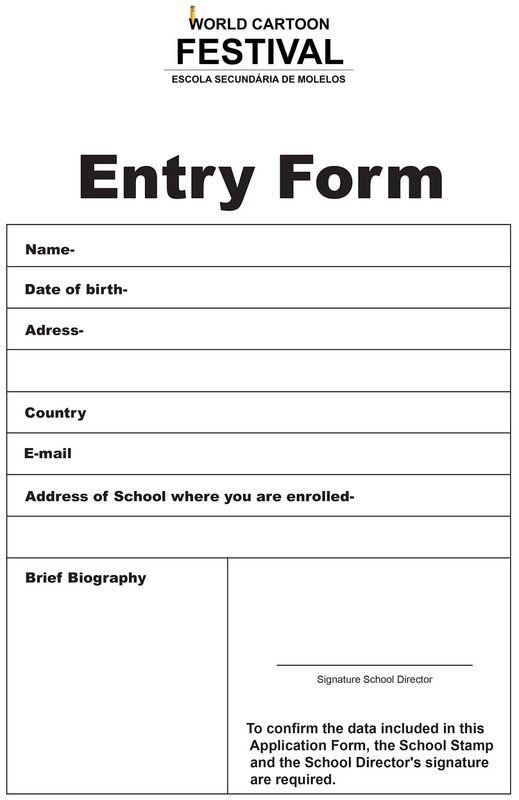 Entry Form (PDF) on source. 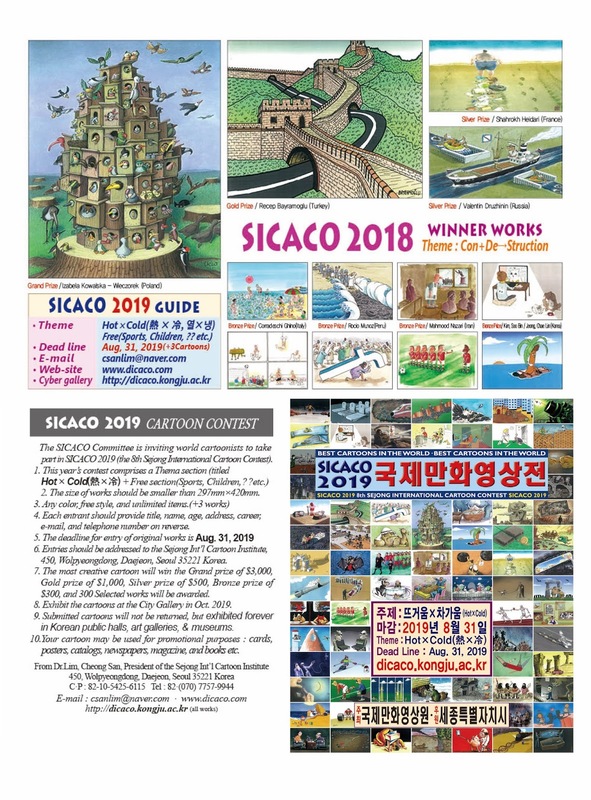 The SICACO Committe is inviting world cartoonists to take part in SICACO 2019 (the 8th Sejong International Cartoon Contest). 1. 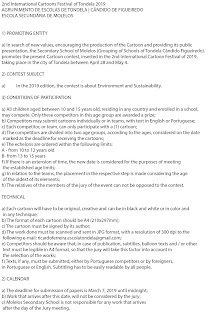 This year's contest comprises a Thema section (titled Hot x Cold) + Free section (Sports, Children, ?? etc). 5. 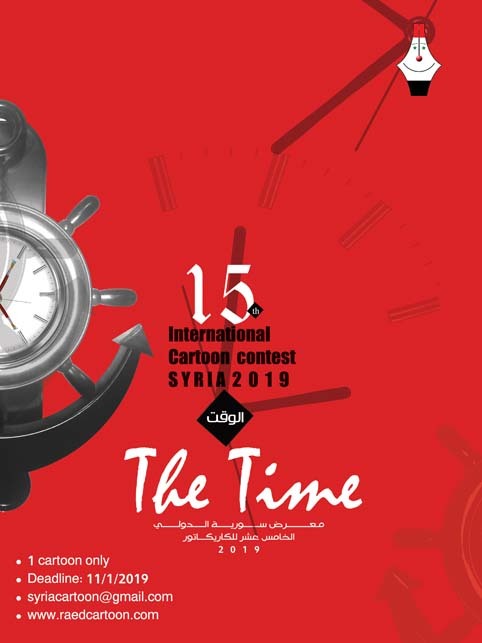 The deadline for entry of original works is 31 August 2019. 8. 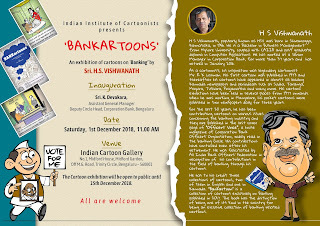 Exhibit the cartoons at the City Gallery in October 2019. 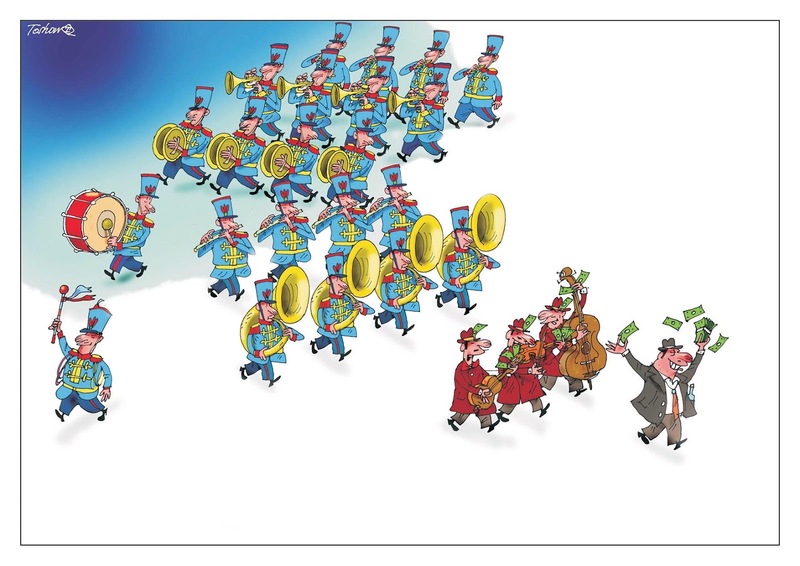 10.Your cartoon may be used for promotional purposes : cards, posters, catalogs, newspapers, magazines, and books, etc. 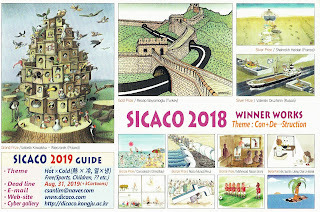 Thanks for participating in my SICACO 2018. The list of winners is the same as the attachment. We will send the winner's present by int'l mail within December 10th. 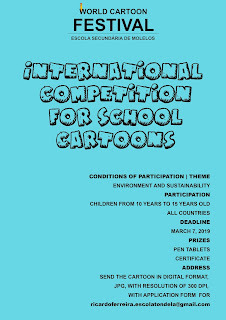 Winners will receive their certificate, one cartoon book, and 4 cards. Original works you send me by mail are selected as prime prizes. All of your contests are donated to the National Museum of Korea. 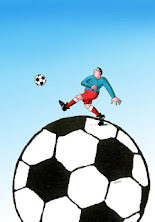 We like original, half-half, digital cartoons sent by mail (no e-mail). 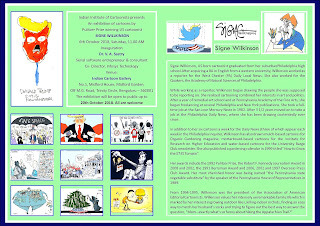 You'd better send me digital cartoons print out and sign. Please write your e-mail & real address and phone number on each back. Please show me your contest by mail and send me your cartoon books and other's. There's a problem with the Iranian winner's dollar remittance, but it's all due. 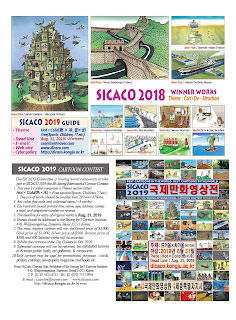 See you in SICACO 2019. Student H.M / Yun, Yi Na (Korea), 17y. The Coordinator of the Gathering: Fawzy Morsy. 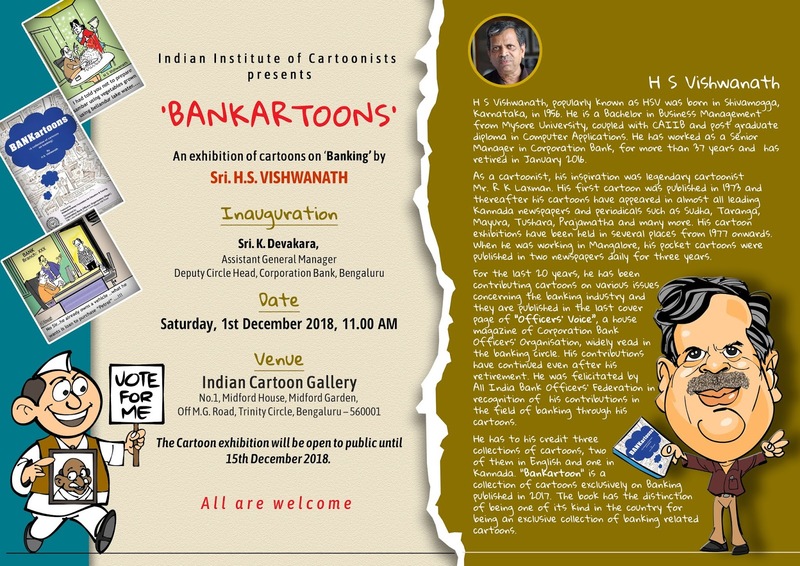 I am happy to inform you that IIC is organising 'BANKARTOONS' an exhibition of cartoons on Banking by Mr. H.S.Vishwanath on 1st December 2018 at the cartoon gallery. Please find the invitation for the same. The venues of exhibition will be announced on the 20th of January 2019. Upholding Human Rights is our Advocacy. So join us with our mission to promote human rights information through Cartoons. For more updates of this event, like and follow our facebook page. 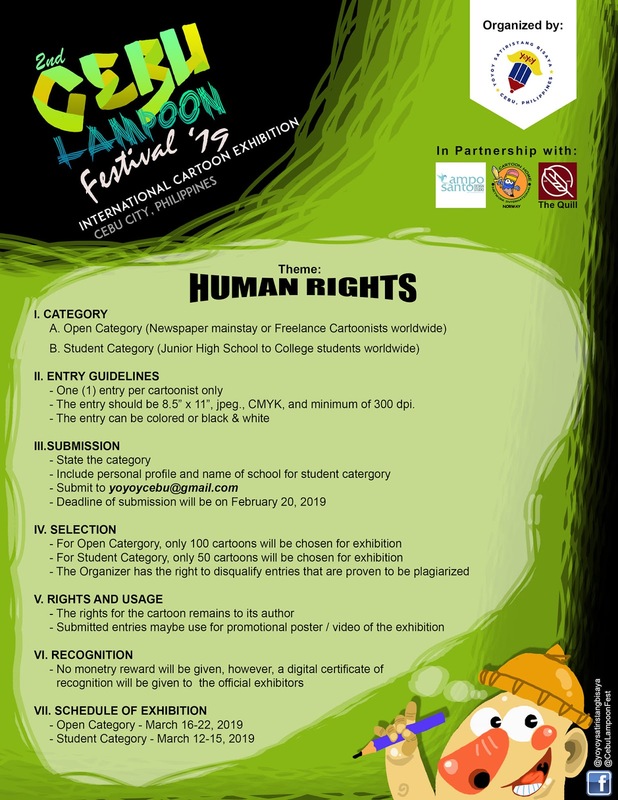 Use the hashtags #CartoonsOnHumanRights #2ndCebuLampoonFest to keep updated. 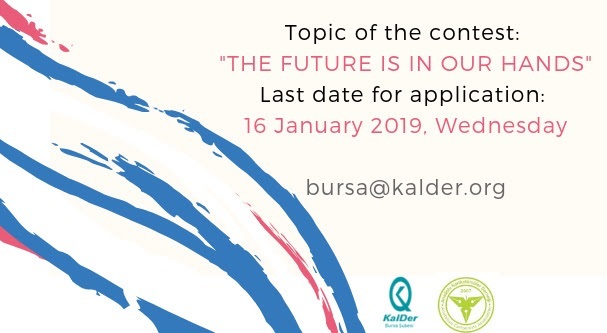 The Caricature Contest will be held with collaboration of KalDer Bursa Branch Office and Anadolu Karikaturculer Dernegi (Anatolian Caricaturists Society) for the 6th time within the 17th Quality and Success Symposium which is going to take place in Bursa between 12th – 13th of April 2019. 2. Last date for application: 16 January 2019, Wednesday. Yuzuncu Yil Mah. 416. Sok. No:2/1 Nilufer / Bursa / Turkey. 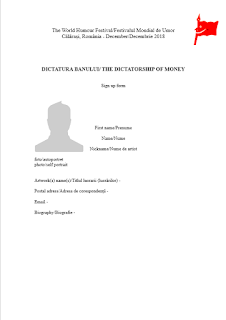 a. CARICATURE - theme "The Dictatorship of Money"
b. PORTRAIT CARICATURE - worldwide known faces should be immortalized, this category holds the International Trophy "Stefan Banica". c. DIGITAL HUMOUR - any type of digital artwork following the theme. THE GRAND PRIZE - each artwork is automatically signed up for it regardless of the category. 3. There is an unlimited number of artworks that can be sent. The artworks have to be authentic, accompanied by the sign up form and an autobiography. Prize of the ECC: Personal exhibition in the ECC. Radmila Grbovic, editor of Ilustrovana Politika. 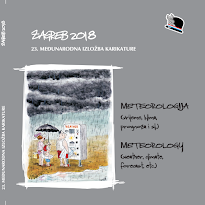 Third prize: TOSO BORKOVIC (Serbia). We begin the 42nd edition of Satyrykon! Regulations – prepared. 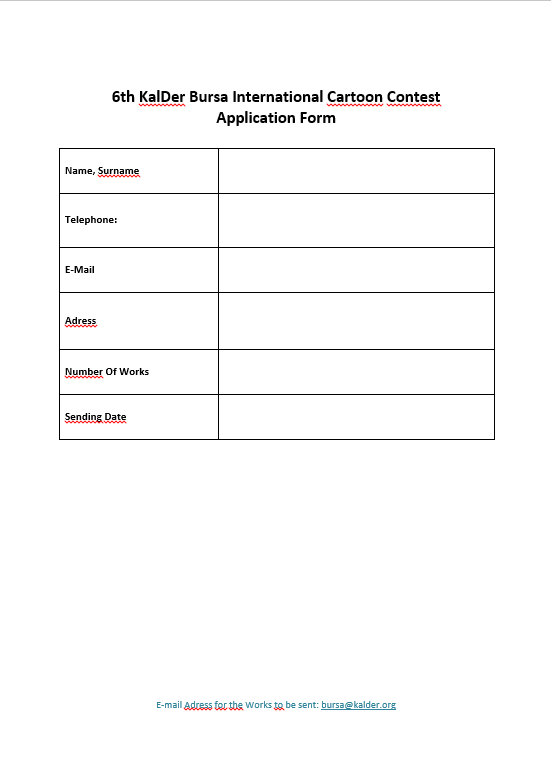 Application cards – prepared. The unfortunate General Data Protection Regulation, which all we have to face this year – also prepared. And theme… Yes, theme is ready too. 1. SATYRYKON 2019 International Exhibition is an open competition. Organisers are not responsible for transport damages. THE PARTICIPANTS ARE KINDLY ASKED NOT TO POST THE WORKS VIA ELECTRONIC MEANS AS THESE WILL NOT BE ACCEPTED FOR THE COMPETITION. 6. Participation in the competition is free of charge. However, organisers reserve the right to include one of the submitted works in the Satyrykon Gallery. In this way, the work chosen by the author, will cover our postage costs. 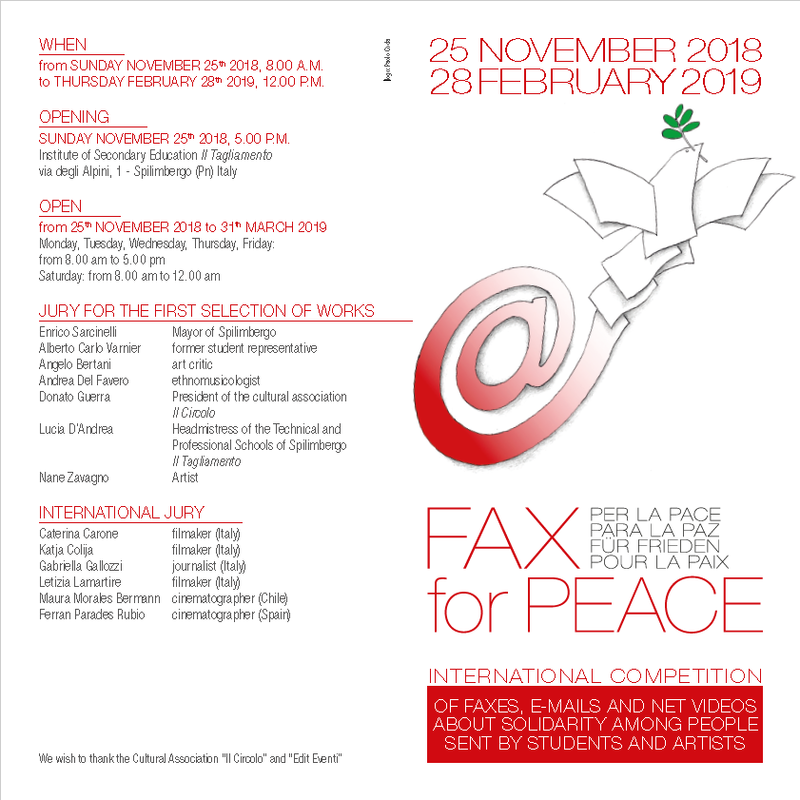 In case, it has not been selected by the author, the organisers will choose one of the works sent into the competition. 7. Works should be accompanied by a short biographical note and a filled application form (PLEASE USE CAPITALS). for the Author of THE BEST DEBUT and the Author of THE STUDENT DEBUT to be accompanied by a solo exhibition at the Satyrykon Gallery within the programme of SATYRYKON 2019 events. Jury has the right of final distribution of the statutory prizes, i.e. to change their number, not to award them, or not to award the Grand Prix SATYRYKON. Jury’s decisions are final. AWARDS ARE SUBJECT TO TAXATION ACCORDING TO THE CURRENT REGULATIONS. 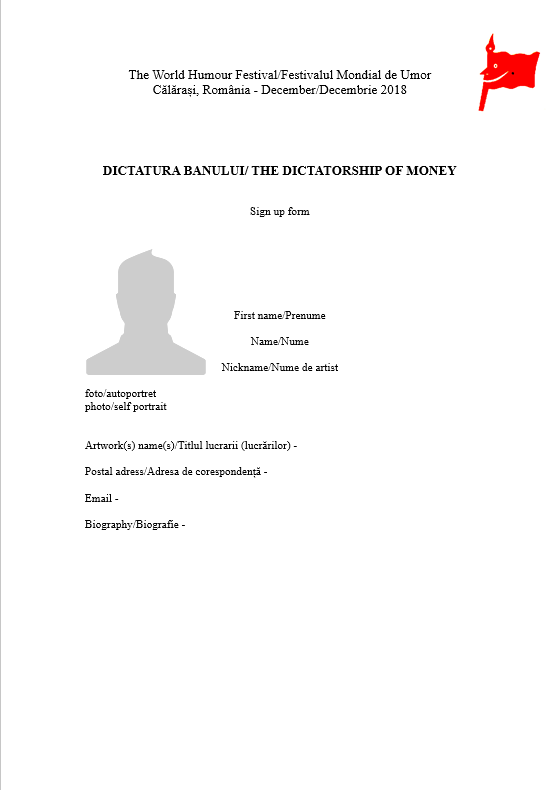 The condition to pay the authors is their arrival for the opening of the exhibition and their collecting the awards by December 15, 2019, or the awards can be transferred into a bank account in a currency specified by the author. 1. Authors of the works qualified to the exhibition are given a presentation copy of the exhibition catalogue and a free-of-charge place in the catalogue. 2. Organisers provide competition prize-winners with gratuitous participation in the SATYRYKON 2019 event on June 13-16, 2019. 3. Works sent to the exhibitions will be exhibited in Poland and abroad after the main exhibition, and then will be returned to their authors by the end of 2020. WE KINDLY ASK THE AUTHORS TO NOTIFY US ABOUT ANY CHANGES TO THEIR ADDRESS DATA – RETURN ADDRESS / PHONE / E-MAIL. Organisers reserve the right to use the sent works for SATYRYKON advertising purposes without any special fees paid to the authors: to be exhibited and reproduced in a variety of advertising materials, as well as printed and circulated in catalogues. The prize-winning works become the property of the organisers and will be included in the collection of the Satyrykon Gallery. The exhibition organisers are the final judges in interpretation of the regulations. Sending her/his work the artist agrees to the mentioned above rules and regulations and agrees to publication of the author’s profile in the post-exhibition catalogue. 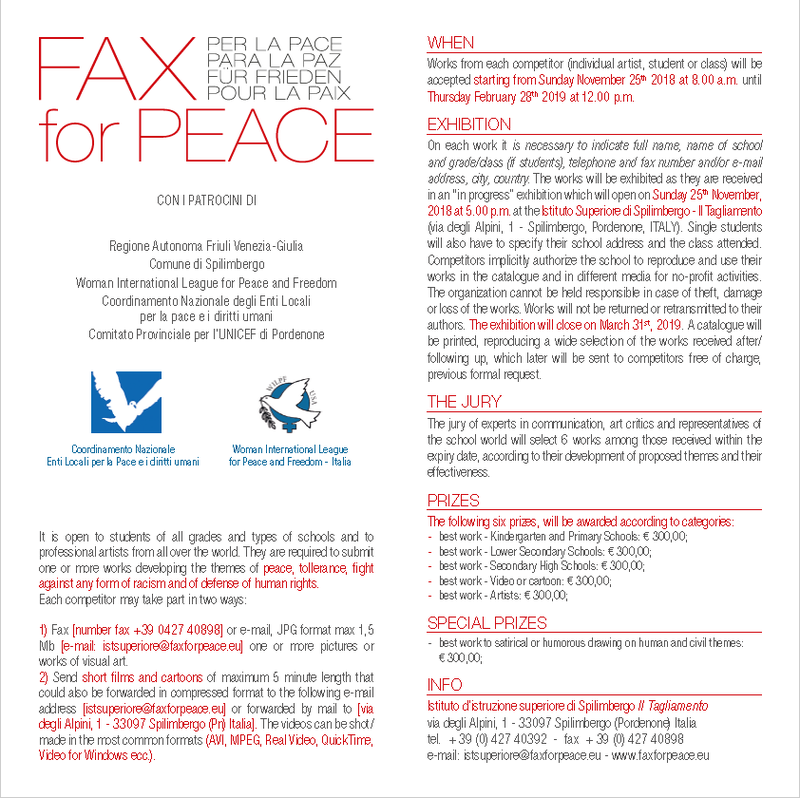 Legnica Culture Centre (+4876 72-33-700; e-mail: lck@lck.art.pl) and Satyrykon Foundation (+48 76 852-23-44; e-mail: satyrykon@wp.pl – PL 59-220 Legnica, Chojnowska 2) – are organisers of the International Exhibition SATYRYKON – Legnica 2019. General Data Protection Regulation 2019 (You must caption this document!) 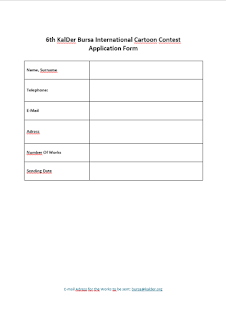 and Application form Satyrykon 2019 are both on source to download. The objective of the competition, which was first held in 2009, is to examine tourism, which is one of the biggest sectors in the world, with its various dimensions. 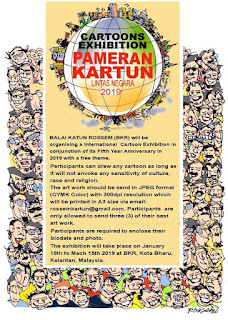 Also, the competition aims to put forward cartoonists’ aspects in terms of travelling population’s experiences and relations during their travel. 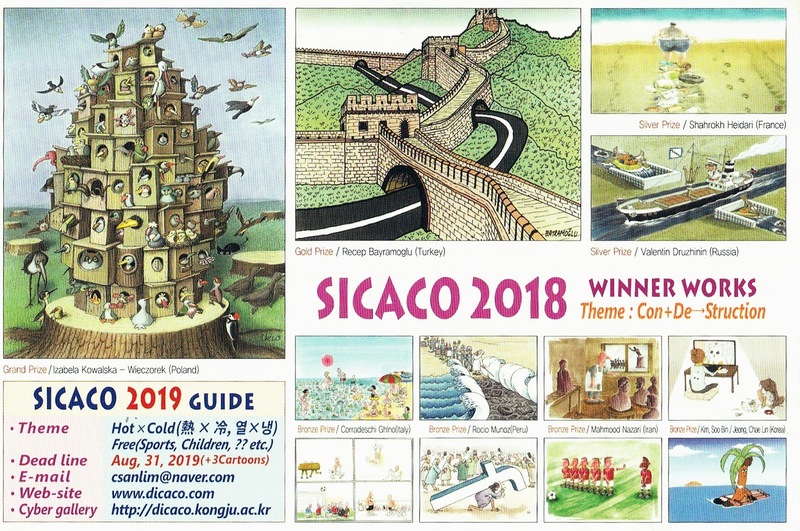 In this respect, the main objective of this competition is to assess such topics, developments and experiences within the tourism industry as accommodation, transportation, food and beverage, recreation, sightseeing, museums, environment, tourist-resident relationships, from cartoonists’ point of view. 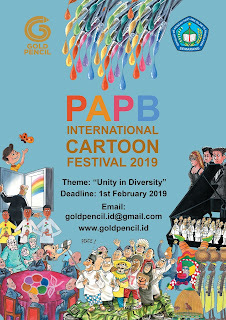 Competition is held annually and is open to all cartoonists from all over the world, both amateur and professional. The theme of the competition in 2018 is "Travel memories". 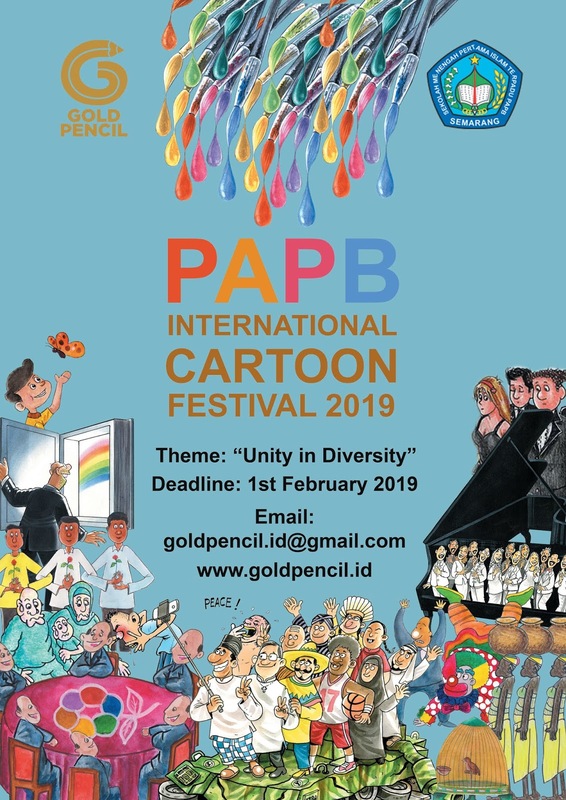 Adult Category: This category is open for the all of cartoonists who are 17 and older. 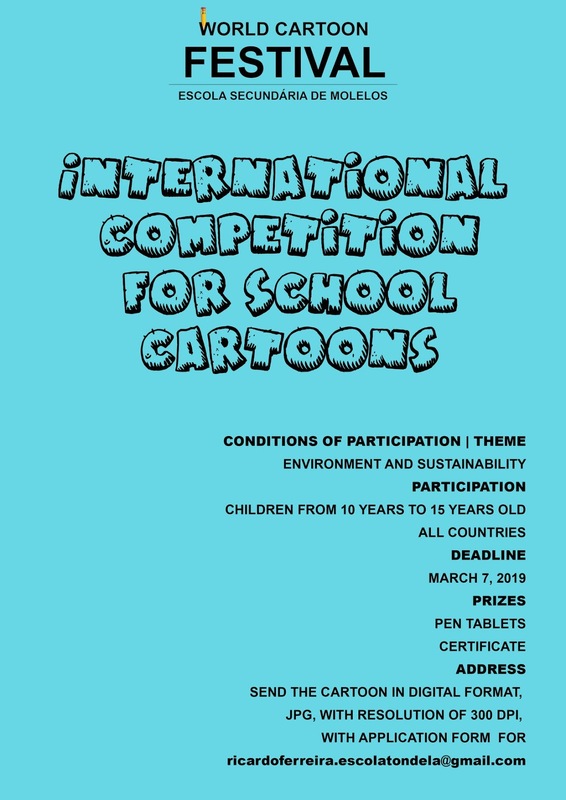 Young Category: This category is open for the cartoonists who are 16 and younger.